She has completed graduation in commerce from Mumbai University and also has qualified degree in Chartered Accountancy. 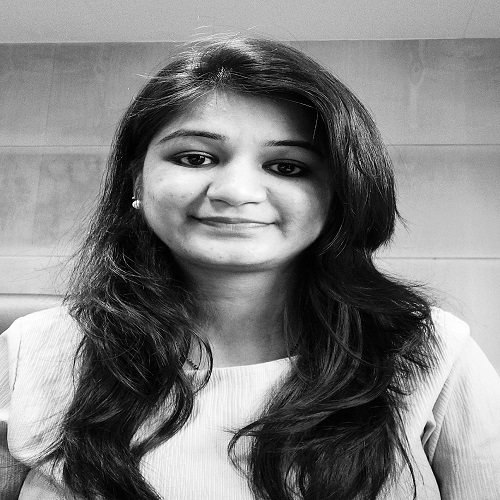 Priyanka Joined our firm in November, 2018 as Director – Taxation in our Ahmedabad office. She possess a vast knowledge in field of Auditing, Direct Taxation and specializes in Goods and Services Tax. Prior to AMRG she has worked with Reliance Communications Ltd., Chaturvedi & Shah and omkar Realtors & Developers Pvt Ltd. She has vast knowledge on handling statutory compliance for return filling under Service Tax, GST, Tds and SAP implementation.